Heli-Expo 06/03/2017 – Airbus has delivered the 700th helicopter into the Canadian market, an H125 to the Nova Scotia Department of Natural Resources. The Department’s mandate includes; development, management, conservation, and protection of forest, mineral, parks and wildlife resources as well as, administration of the province’s Crown land. The aircraft delivery is part of a fleet renewal for the province following a competitive process and will be the first delivery of four H125’s that has been awarded to Airbus. The aircraft will be flown in the province of Nova Scotia, supporting a variety of missions including; Firefighting, Forestry program support, Wildlife Surveys, Search and Rescue and Geological Surveys. 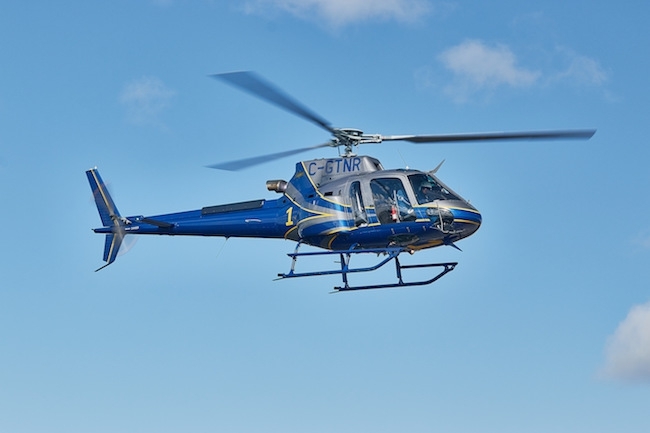 “The H125 is a reliable and versatile aircraft that we are proud to deliver into the province of Nova Scotia. It is extremely fitting that our 700th milestone is associated with the H125, the most popular aircraft flying in Canada today.” said Mr. Romain Trapp, President, Airbus Helicopters Canada. “We appreciate that the Nova Scotia Department of Natural Resources continues to trust in Airbus products and services and we look forward to supporting their operations for years to come”. This will be the second delivery for Airbus to the province of Nova Scotia, following the delivery of an H120 in 2009. The Airbus H125 was selected as it outclasses all other single-engine helicopters for performance, versatility, safety, low maintenance and low acquisition costs, while exceeding expectation in extreme environments. With built-in maneuverability, excellent visibility and low vibration levels in the cabin, the H125 has earned its reputation as a true multi-mission workhorse. The H125 has been customized with a variety of Airbus engineered optional equipment including; Glass Cockpit, Floor Window, High-Visibility Doors, Cable Cutters, Cargo Mirror and Cargo Pods. With its exceptional lift capability, high endurance, extended range, and fast cruise speed, the H125 will excel in supporting Nova Scotia Department of Natural Resources’ mission requirements.